Weekend Trip to Bay Area – Meet Fresh – Where in the World is Ngo? Where in the World is Ngo? Avid Traveler, Thrill-Seeker, Michelin Star Collector. Didn’t get to capture as many food pics as I wanted to but did get to try this new place that my brother has been raving about called Meet Fresh in Cupertino. We came to this awkwardly named dessert place at an odd lunch hour however the line was still about 40 mins long! While my brother and my mom stood in line, I took my little niece to get cotton candy and boba. It’s great to see kids faces light up with happiness when they see a huge cotton candy ball placed in front of them. 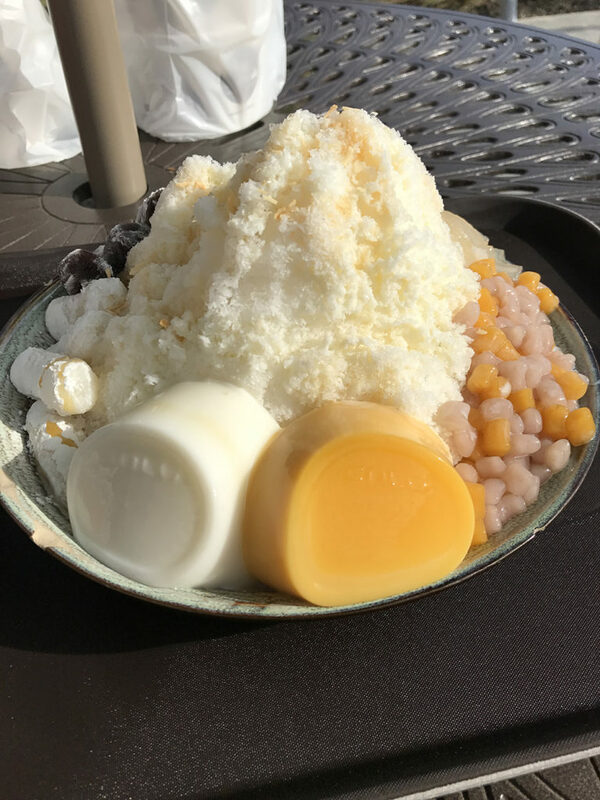 For those that don’t know what this dessert is, it is Taiwanese shaved ice. This isn’t just your typical shaved ice with food coloring and flavoring, however. This is piled mountain high full of mochi, jellies, beans, almond shavings, coconut, and boba. The consistency of the ice is similar to fresh powder on a ski resort, which is what sets this dessert apart from everything. Definitely worth a try if you have never experienced anything like it before, but beware, this thing can feed 3-4 people easily and is best enjoyed on a hot summer day!